This is the luckiest woman alive at the moment after her miraculous survival today in a ghastly motor accident. 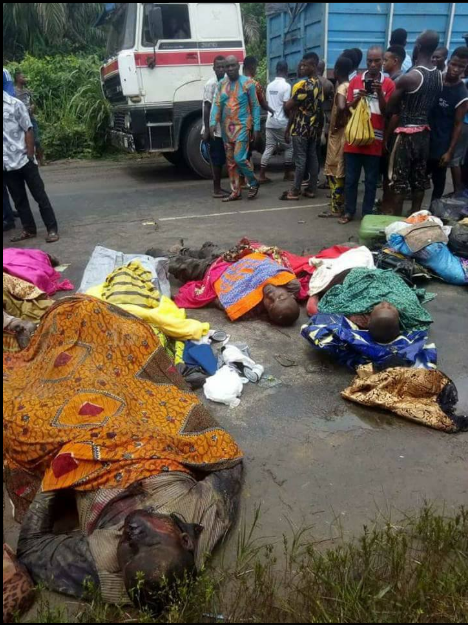 It was reported that a fatal accident which happened earlier today in Rivers state, left many passengers dead. 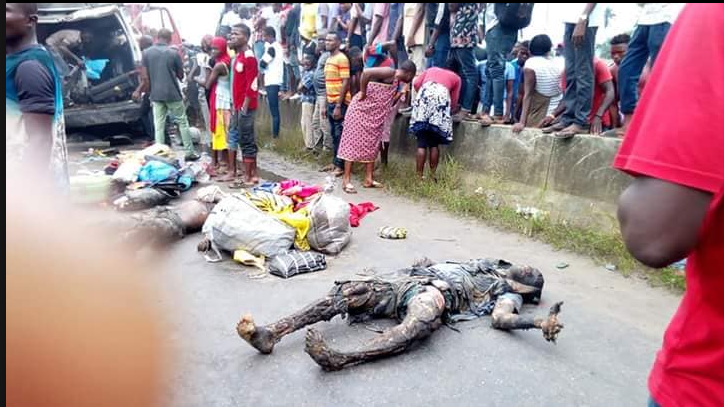 The accident occurred after a passenger bus collided with a truck on East road just after Choba bridge near the University of Port-Harcourt, in the state capital. Report has it that the passenger bus was overtaking the flatbed truck when the accident occurred. The impact caused flames that engulfed the bus charring the occupants. Read also : Naigerian Lady survives a terrible accident in Enugu State. 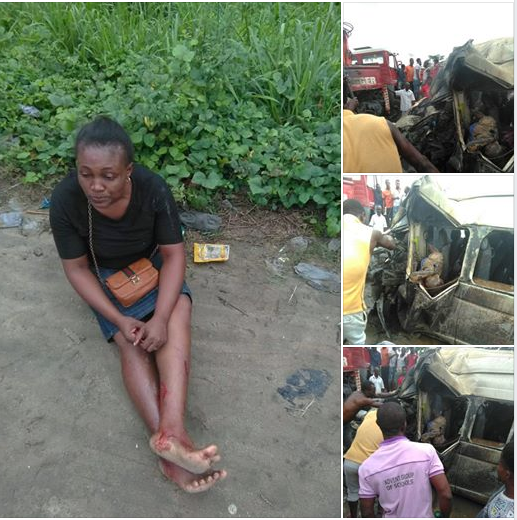 All the passengers apart from this lucky woman died in the accident after being burnt. The woman escaped the tragedy with minor external injuries. The incident caused a huge traffic gridlock in the area before the evacuation of the victims.